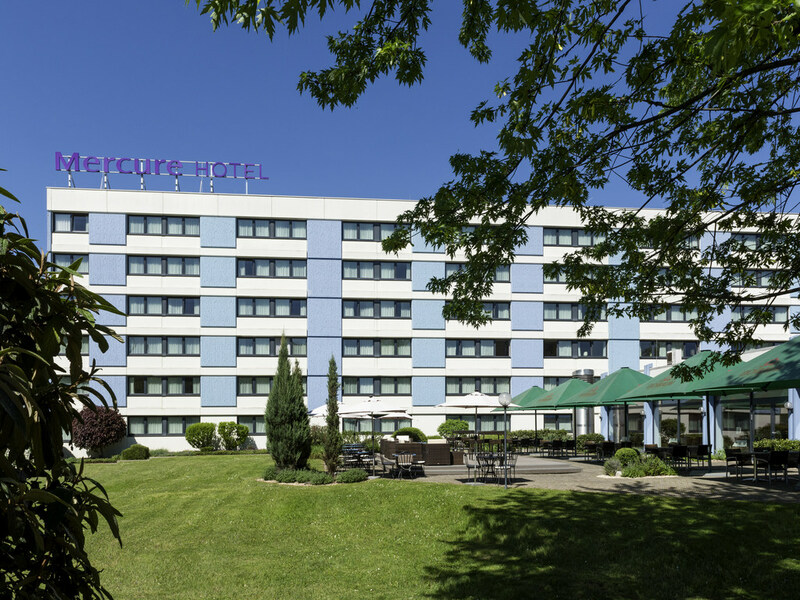 The Mercure Mannheim am Friedensplatz is just a few steps away from the most important sites for city visitors and business travelers (Rosengarten congress center, SAP Arena, the water tower, Luisenpark). Our 180 cozy, comfortable rooms, 10 conference rooms bathed in natural light, 120 parking spaces, elegant lobby bar and restaurant with sun terrace will suit the needs of business travelers, conference delegates and tourists alike. The Mercure Hotel Mannheim am Friedensplatz is just a short walk from the most important sites for city visitors and business travelers. Feel at home at the Mercure Hotel Mannheim am Friedensplatz. This modern city hotel has 180 tastefully designed rooms, 10 conference rooms bathed in natural light and equipped with the latest technology, and 120 parking spaces. The restaurant invites guests to enjoy regional and international cuisine. In the warmer months of the year, guests can enjoy these culinary delights on the adjacent sun terrace in a comfortable and peaceful setting. The stylish lounge bar is a perfect meeting place for friends and colleagues. In addition to delicious snacks and cocktails, you can also enjoy hot meals here in the evening.